Roofs are built to withstand the test of being exposed to the elements on a regular basis. However, with the extreme climate in New Orleans, many things can affect your building’s roof and underlayment system. Wind, hail, debris and other threats can create water leaks that allow moisture into the building and cause serious damage. Juneau Odenwald Roofing understands just how easy it can be to miss small leaks before they become massive headaches, and offer our clients in New Orleans thermal infrared imaging services to identify and correct leaky roofs as quickly as possible. Thermal infrared imaging for roofs is actually relatively simple. Using a camera-like imager, Juneau Odenwald Roofing will conduct a full inspection of your roof. These devices are made specifically for flat roof systems, and are ideally suited to industrial and commercial properties in New Orleans. The images that result from our scan will show temperature differences in your roofing material, which can provide valuable clues about water leaks, moisture absorption and how widespread any damage might be. This ensures that any water accumulation or damage can be easily identified, even if it’s hidden out of sight. It’s never been simpler to ensure that your roof stays in good shape. By providing us with a temperature-coded image, our experts can determine where water is entering your roof, how far capillary action has spread that moisture and what needs to be done in order to rectify the situation. Water damage to any roofing system can be enormously costly and can lead to serious threats, including health hazards like mold and mildew. In a commercial or industrial setting, unchecked moisture spreading through a roofing system can amount to a tremendous cost when it’s finally caught. Juneau Odenwald Roofing offers thermal infrared imaging services to New Orleans businesses and many other clients to ensure peace of mind and immediate repairs. Waiting too long to repair or replace your roof system can spell disaster, but we’re able to help you get a jump on that damage, reducing the need for costly repairs or replacement. We’re so sure that our thermal infrared imaging services will help protect your New Orleans business from unnecessary damages, we put our money where our mouth is. 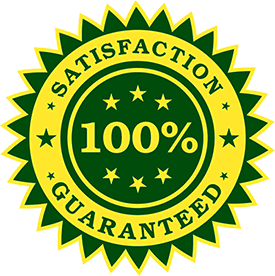 Juneau Odenwald Roofing offers a full 100% satisfaction guarantee. If you’re not satisfied, we won’t bill a single dime until you are. We’re also proud of our professionals – our team is made up of licensed, trained, educated professionals dedicated to giving you the best results possible. Even with the benefit of thermal infrared imaging, New Orleans businesses and industries need to act fast to repair water leaks. Contact us today.